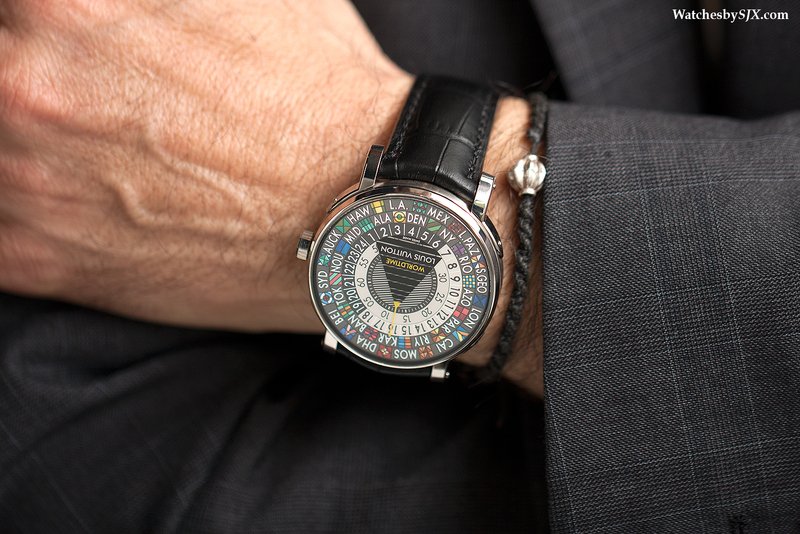 Unveiled at Baselworld 2014, the Escale Worldtime is a visually striking, mechanically innovative, and also pricey, timepiece with a world time display. 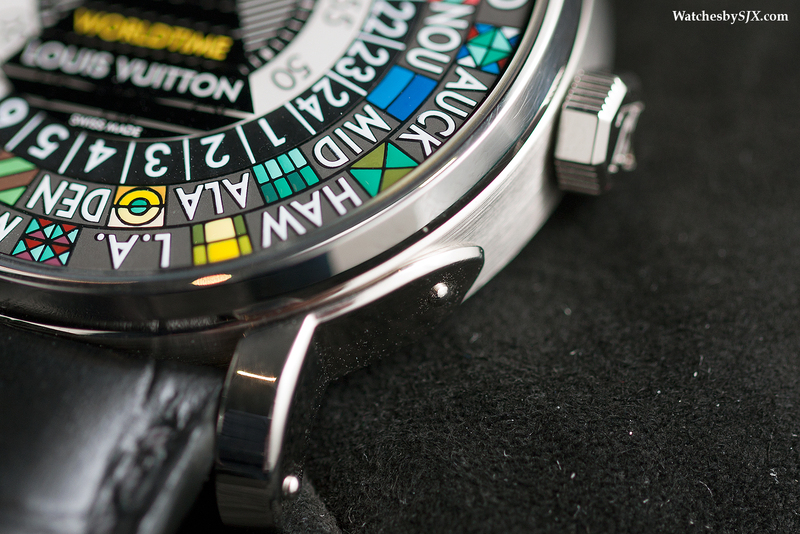 Featuring a hand-painted dial, the Escale Worldtime has a wandering hours display for the hours and minutes, and an easily adjustable world time function. Developed by La Fabrique du Temps, a noted complications specialist led by talented watchmakers Michel Navas and Enrico Barbasini, the Escale Worldtime is set via the crown, with the ability to go backwards or forwards. The first stop on the crown sets the cities disc, and the second stop sets the time. 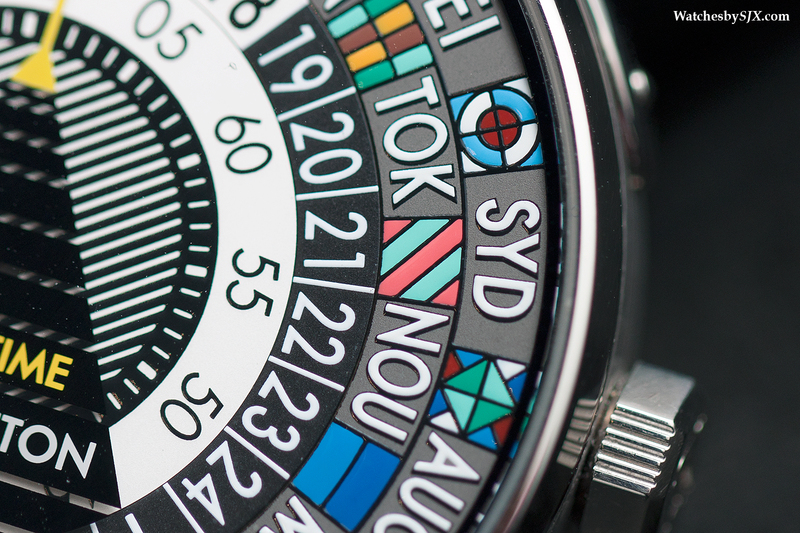 The dial is incredibly lively and detailed – not something for the faint of heart. 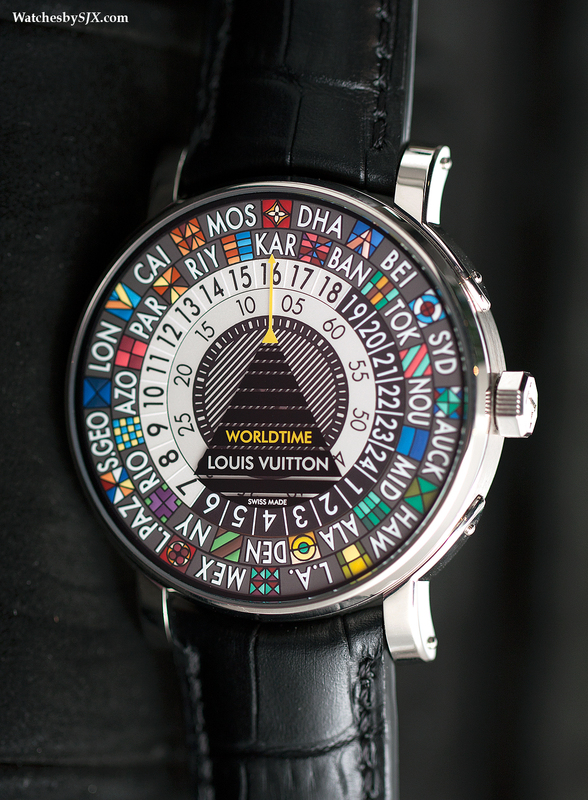 Though the dial is loud, it is not immediately identifiable as a Louis Vuitton product, offering some level of discretion. 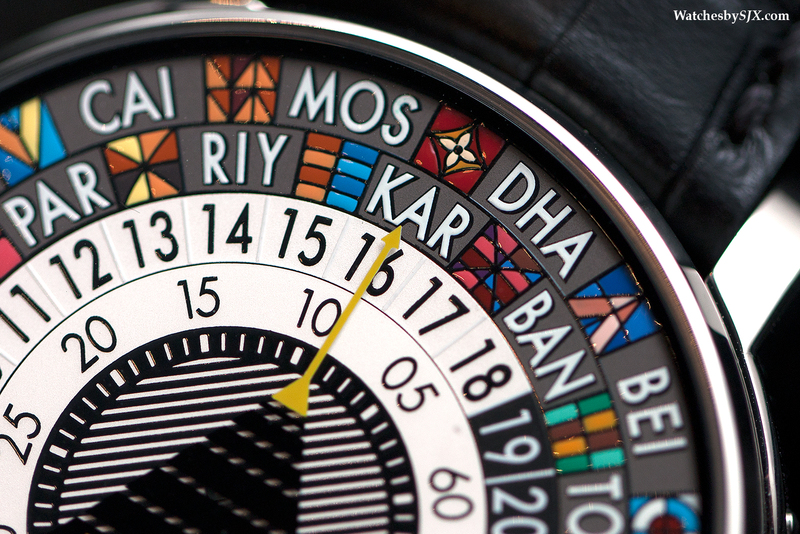 Each dial is painted by hand with 30 colours before being fired in an oven. 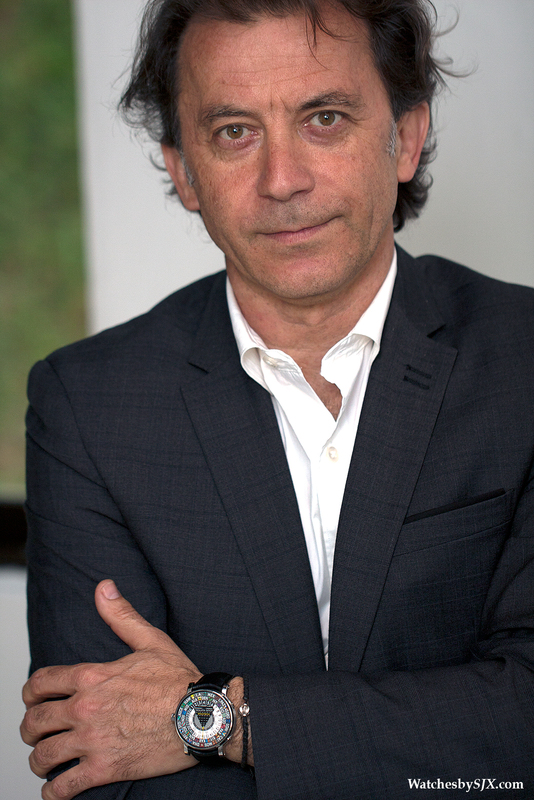 The entire process takes 50 hours and is done in-house. 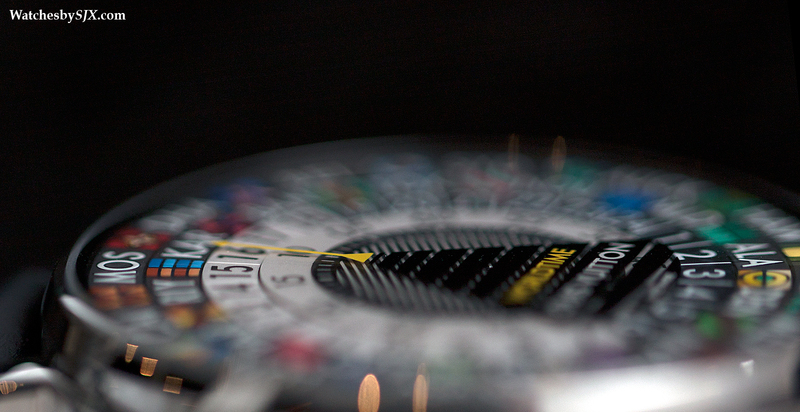 Because the dial is so close to the crystal, literally sitting a hair’s breadth below the sapphire glass, it appears that the dial and glass are one. The dial is comprised of three discs, the outermost for the cities, and then the hours and minutes. A yellow arrow at the top of the pyramid indicates the time. 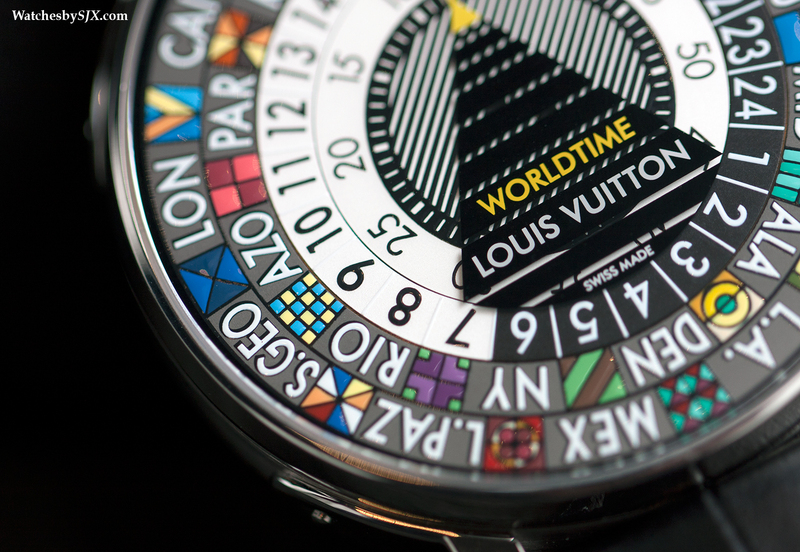 The back reveals the mystery rotor, which spins on the periphery of the sapphire back; the centre is a silk screened Louis Vuitton logo. Inside is an outsourced base movement (likely ETA), with the world time module created in-house by La Fabrique du Temps. 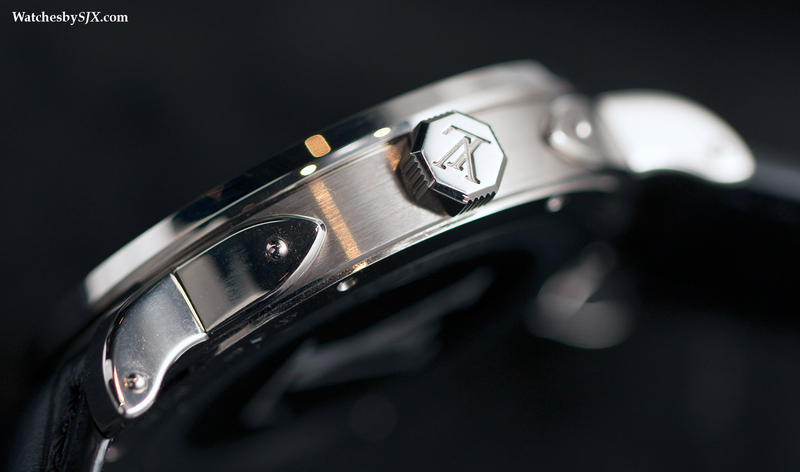 The white gold case is 41 mm, with a polished bezel and lugs, and brushed flanks. Though it’s a simple form, the case is well finished with engaging details, like the lugs that echo the riveted brass corners of Louis Vuitton trunks and the octagonal crown. 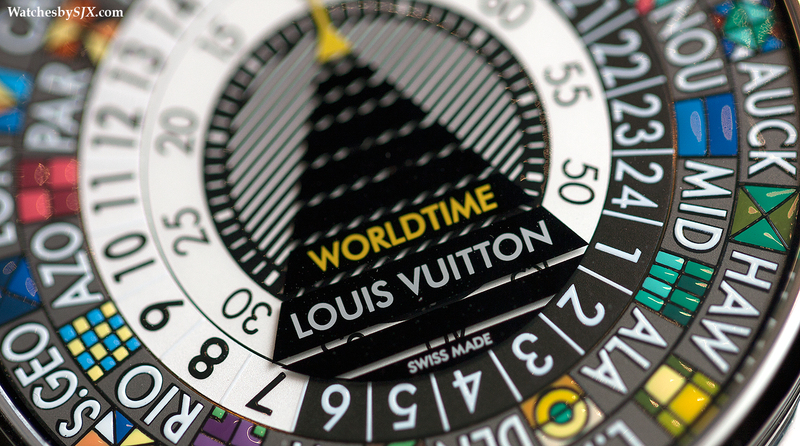 With a retail of €50,000, the Escale Worldtime is limited to 50 pieces. 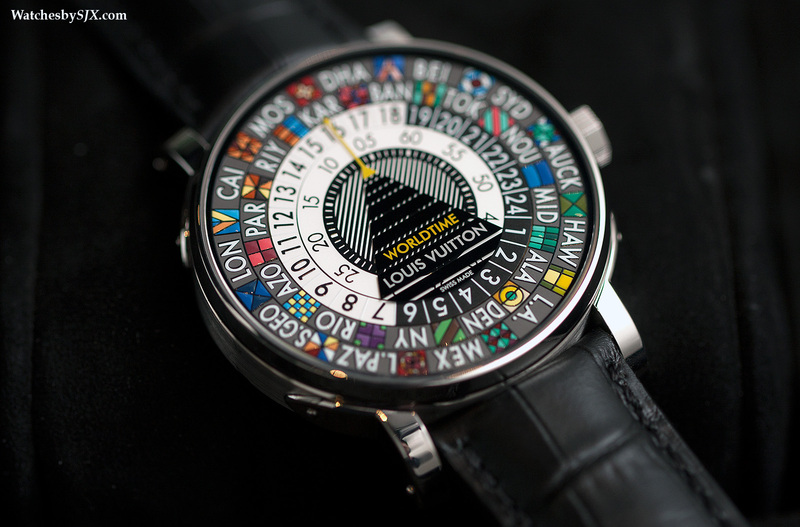 The price is as rich as the dial is colourful, but this is a clever and uniquely conceived timepiece, and more importantly this is a Louis Vuitton product, so it will sell briskly. And it must be noted this is merely the start of a well funded push into high horology by the world’s biggest luxury brand. Louis Vuitton has been putting considerable resources into building a meaningful competence in high horology, starting with its purchase of La Fabrique du Temps in 2011, bringing on board the talented team that brought us the lovely movements of Laurent Ferrier. 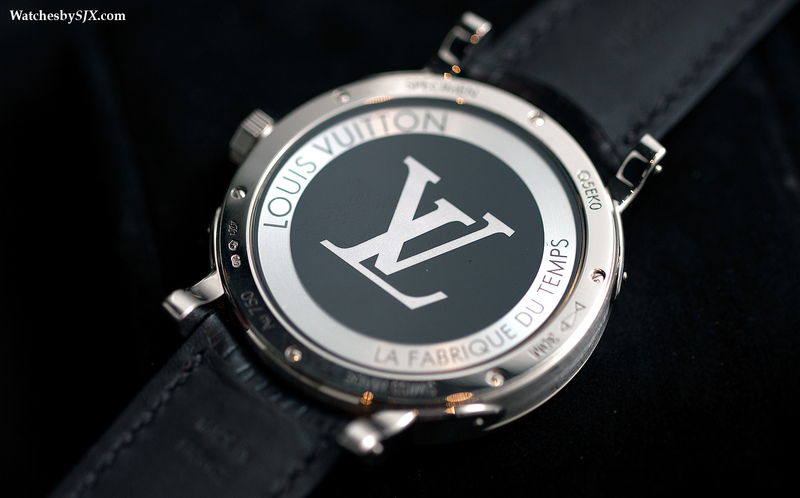 Later this year Louis Vuitton will open its new manufacture in Geneva, with which it will certify all its complications with the Geneva Seal. 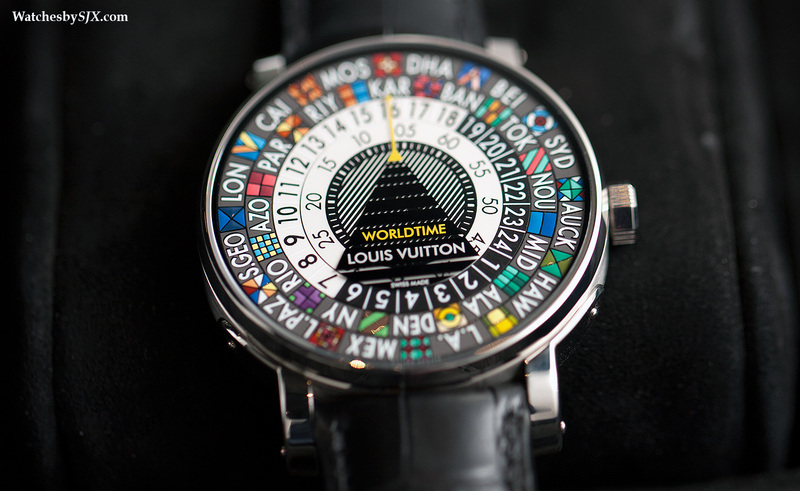 Though it’s easy to ridicule Louis Vuitton as a serious watch brand, the trunk maker will likely prove its critics wrong.